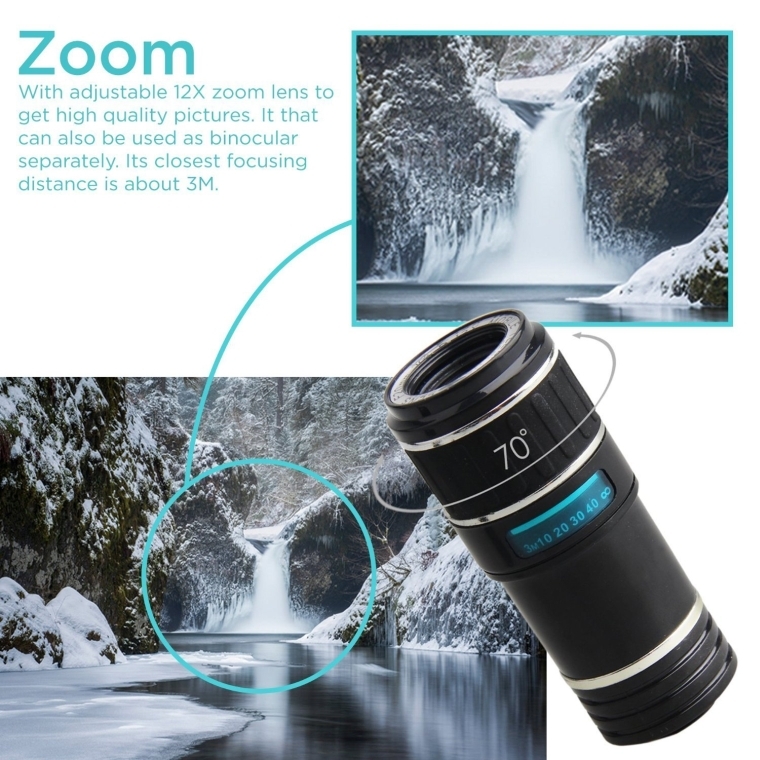 High Quality Universal Clip-on Removable 12X Zoom Telescope Camera Lens with Manual Focus for smartphones, tablets and other mobile devices. Use this clip-on telescope camera lents to take photos and videos. It is also used for bird watching, watching wildlife or scenery, watching games of F1, football and basketball and so on.